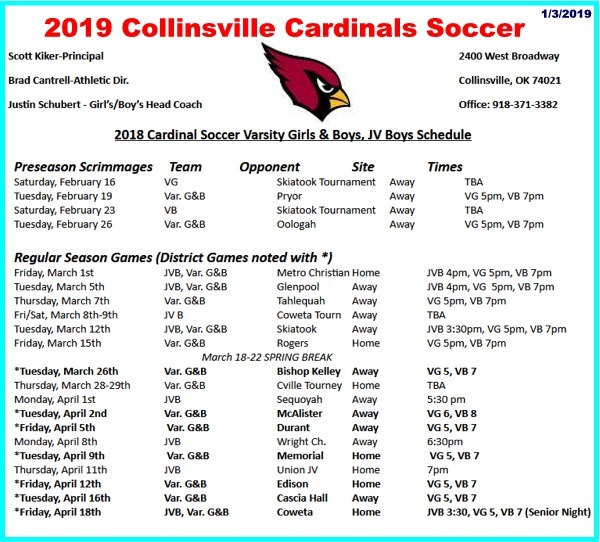 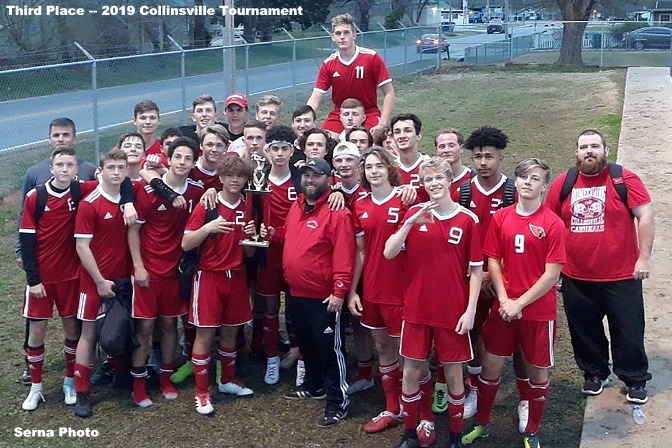 Last year Collinsville hosted the rained-out Stillwell Soccer Tournament and this year they hosted their own (first-ever) Collinsville Soccer Tournament. 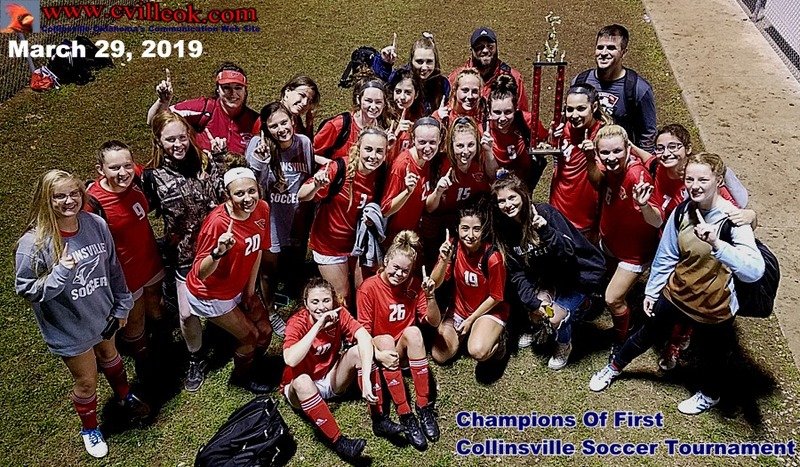 The Collinsville girls finished first and the Collinsville boys finished third. 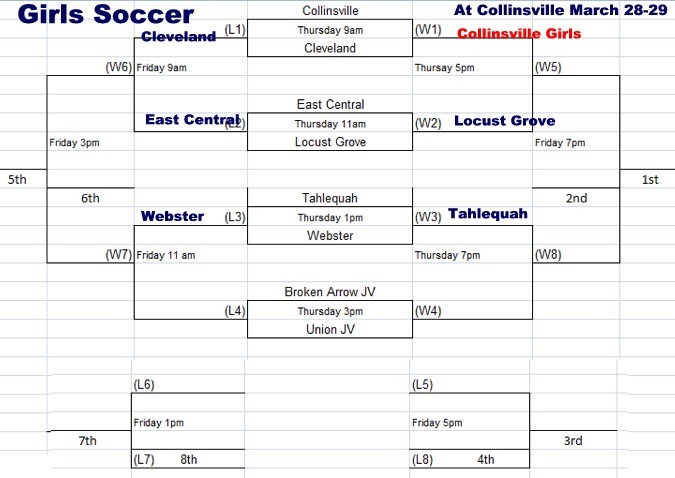 The Collinsville Girls defeated Cleveland 5-0; Locust Grove 8-0; and Broken Arrow JV 2-1 for the Girls championship trophy. 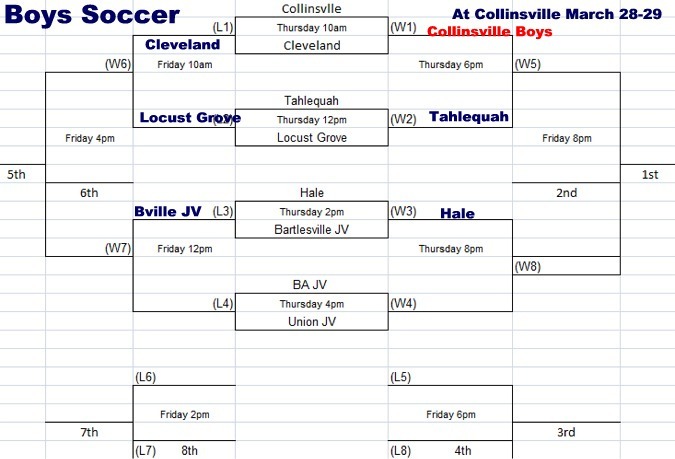 Collinsville's Boys defeated Cleveand 3-1; lost 0-1 to Tahlequah; beat Union JV with PKs after 2-2 regulation for third place.